Innovation is important for business profitability and the engine that drives economic growth. However, some innovations are more powerful than others. There is a big difference between implementing incremental changes to improve efficiency and business model innovations that change the way business operates altogether. In recent years, some of the world’s most successful companies have been the ones with innovative business models. Amazon, Airbnb, Facebook and Uber are all disruptors in their industries who have challenged the traditional way of doing things and introduced a fresh approach.These businesses are testament to how business model innovation can propel rapid growth. 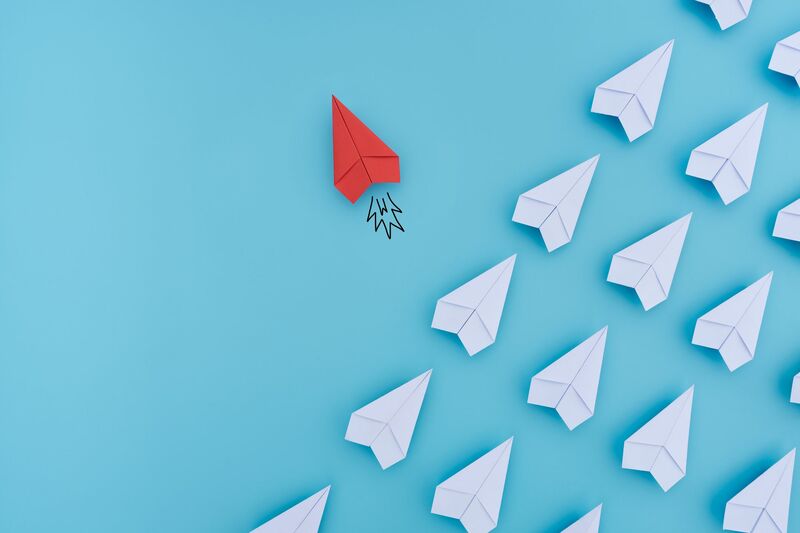 Dr Sarel Gronum, an innovation specialist at UQ Business School, says: “Our research has shown that innovating across the elements of your business model can lead to higher performance outcomes. But only if such innovations are guided by a clear business model design theme, which challenges and transforms the firm’s current dominant logic of how business is done”. How can other firms follow their lead? Sarel offers some advice for would-be innovators. Understand your dominant logic by clearly articulating your current business model. What value do you create and for who? And how do you create, deliver and capture such value? It is surprising how many entrepreneurs struggle to express this concisely. How can you change if you do not know who you are? Start by re-evaluating the pain points to uncover the actual ‘jobs’ that people want to get done. “All too often businesses are good at creating solutions but bad at first identifying the true nature of the problems they are trying to solve,” says Sarel. Approach problems and solutions without preconceptions, as if you’re a Martian observing earthlings for the first time with fresh eyes. “Great innovators are anthropologists who understand the meaning people attach to things, because they have deep empathy with their needs and pains,” adds Sarel. Radical innovations often originate from changing the meaning we attach to things. For example, the way the Apple iPhone transformed the mobile phone into a handheld mobile computer. Human-centric ‘Design Thinking’ helps to capture the mindset of people, to identify new opportunities for innovating ‘meaning’, while simultaneously applying new or alternative technological solutions. Don’t develop tunnel-vision by trying to outplay existing competitors at a fixed game or by focusing exclusively on existing customers. Interact with other stakeholders to get a 360-degree view of the problem. If you are searching for opportunities in life sciences don’t fixate on the surgeons, also interact with other medical practitioners, administrators, patients, their relatives and more. Business model innovators like Airbnb looked beyond existing hotel customers to attract non-consumers by leveraging surplus capacity in the sharing economy. Redefining a market requires a broad viewpoint. Design innovative small-scale experiments to rapidly explore new ideas or opportunities without jeopardising the existing business. Firms prematurely kill potential breakthrough innovations by requiring validation of future financial returns, which is almost impossible to accurately forecast. Rather, look at the potential downside by only investing what you can afford to lose when testing, validating and implementing the innovation. The rule is to “fail often and fail fast, but fail cheap”, says Sarel. Innovation should be built into the business’ DNA and there should be clear processes in place to support it. “The knowledge and creativity of employees are your most valuable resources. However, firms often fail to fully exploit this value because their culture does not facilitate innovation,” Sarel adds. While trade shows, chambers of commerce and other networking events are useful, further education and training allows managers to take time out of the office and allow their ideas to collide and merge with those of others. Even the big tech firms continue to reinvent themselves. In 2015, Google reorganised its portfolio of alpha-bets under the new holding company, Alphabet. Independence from Google allows the younger companies in this new portfolio more freedom to experiment with alternative business models, something Amazon continues to do, with significant success.